What a pleasure to be here today in celebration of Sweden's national day and its midsummer festival, the country's most traditional of holidays. First of all, my gratitude to the Consul General and your team for opening this fantastic celebration to the people of Hong Kong. 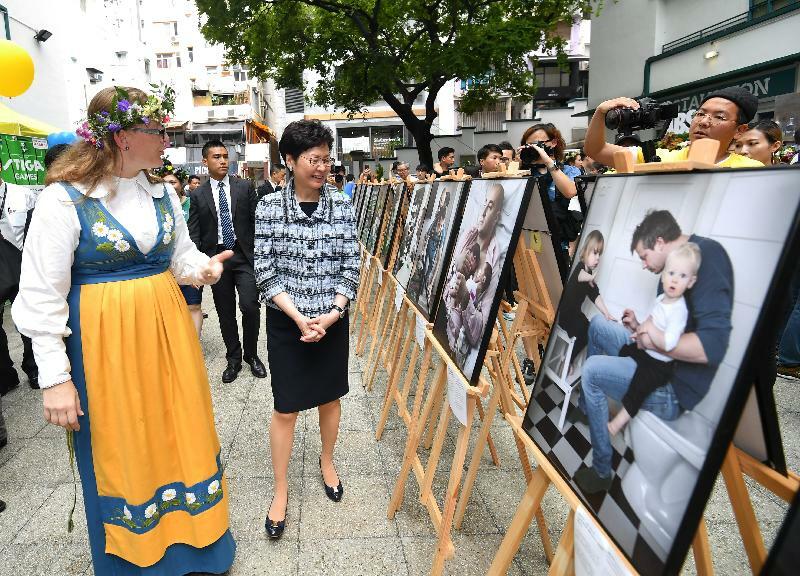 It provides an excellent opportunity for our people to appreciate the rich culture of Sweden through the music, dance, food and many other things on offer this afternoon. I am also delighted that the celebration is taking place in the courtyard at PMQ. The Former Police Married Quarters, PMQ is one of eight Conserving Central projects, half of which are now up and running. Just two weeks ago, I took part in the opening of the nearby Central Police Station Compound – now called Tai Kwun Centre for Heritage and Arts. I must say I am thrilled to see Hong Kong’s past rise again – revitalised and, as this good afternoon attests to, radiating life, purpose and good will. Ladies and gentlemen, I can say very much the same about Hong Kong and Sweden. Our two economies, our two peoples, are finding good reasons to come together. Less than two years ago, the Karolinska Institutet's Ming Wai Lau Centre for Reparative Medicine opened here, setting in motion what I am confident will be a long and mutually rewarding collaboration between us in science and technology, as well as the creative industries. Indeed, Prince Carl Philip visited Hong Kong just six months ago, here to inaugurate the Swedish Pavilion at Business of Design Week, as well as to launch the first edition of #SwedenTalks_HK, a creative exchange that we very much look forward to building on. The Prince is definitely not the only person from Sweden to visit us. 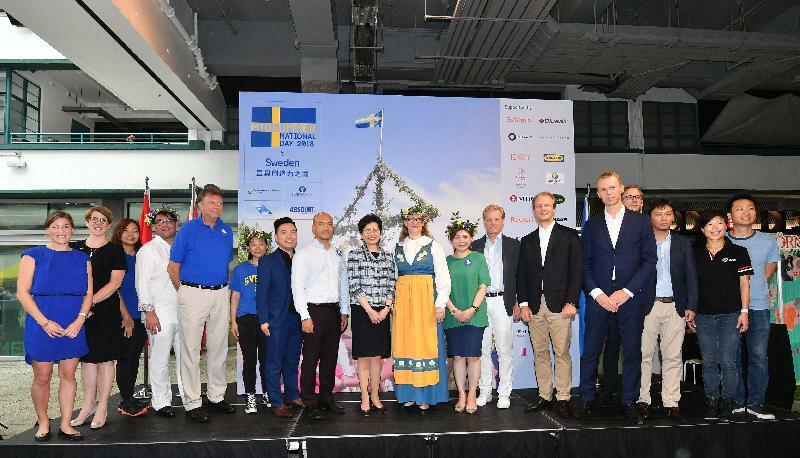 Thanks to our mutual visa-free arrangement and direct flight connection, arrivals from Sweden to Hong Kong grew by about 25 per cent cumulatively in the past three years. And I am sure our people-to-people bond will continue to grow, especially amongst young people, with our bilateral Working Holiday Scheme commencing operation in January this year. 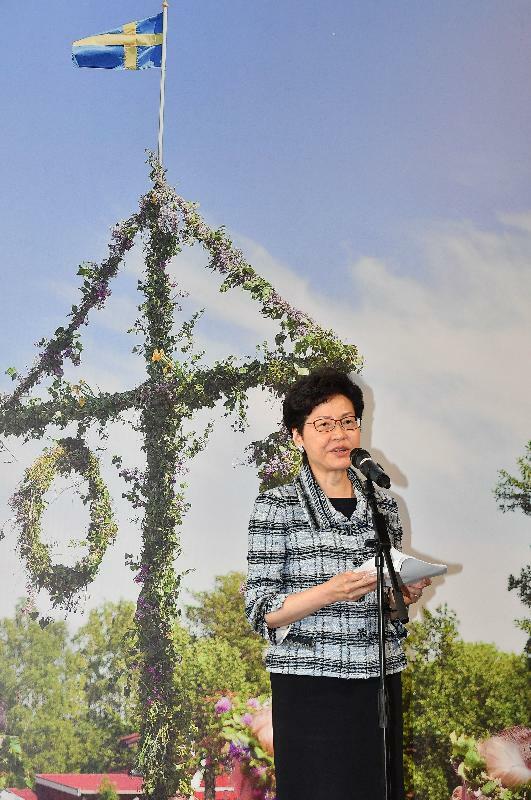 Ladies and gentlemen, when it comes to ties between Hong Kong and Sweden, there is a great deal more to say. But I would stop here now, so that I will have more time to tour the booths here and to learn how to make a Swedish flower crown from the Consul General. I wish the people of Sweden a most happy and memorable national day, and everyone here an enjoyable afternoon, actually till 10pm tonight. Thank you very much.